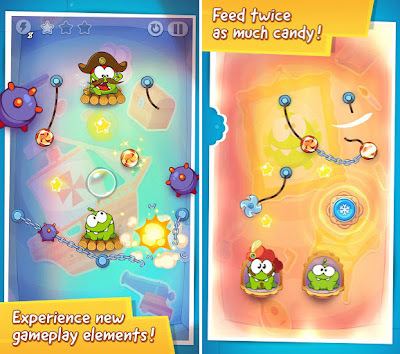 Cut the Rope Time Travel HD Apk 1.1.1 is available for your android device. “Join Om Nom as he travels back in time to feed his ancestors with candy. Cut the Rope: Time Travel is a completely new adventure filled with time-traveling, candy-crunching, physics-based action! There’s no time to waste! Visit exciting locations including the Middle Ages, the Renaissance, a Pirate Ship, Ancient Egypt, Ancient Greece, the Stone Age and Disco Era. Om Nom’s ancestors are waiting – and they’re getting really hungry for candy!